The Hitachi Travelstar 5K100 series delivers a winning combination of characteristics. With the industrys lowest idle power and enhancements to the mechanical and electrical design, this 5400 rpm drive is the ideal choice for notebook PCs. 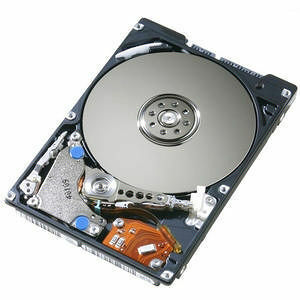 The Travelstar 5K100, at 80GB, offers the highest capacity in a 2.5" 5400 rpm drive. That, along with 300G of operating shock and 1000G of non-operating shock, makes Travelstar 5K100 the best all-around 2.5 inch hard drive.